The All-New 2016 Jaguar XF continues to set the benchmark pace in the Kingdom of Bahrain with its class-leading specifications that flawlessly blend luxury, performance and aesthetics to rival and dominate in its segment. Euro Motors, the exclusive dealer and distributor for luxury automotive manufacturer Jaguar Land Rover in the Kingdom of Bahrain announces the introduction of its latest campaign on the All-New 2016 Jaguar XF. Under the features of the campaign, the All-New 2016 Jaguar XF is currently made available at highly competitive prices starting from BD 18,995 and it is additionally enveloped with amazing offers such as 5 years free warranty, a free 5 year service package, free road assistance services for 5 years and free registration. Customers also have the option to trade-in their existing vehicle for the All-New 2016 Jaguar XF. The All-New 2016 Jaguar XF continues to set the benchmark pace in the Kingdom of Bahrain with its class-leading specifications that flawlessly blend luxury, performance and aesthetics to rival and dominate in its segment. 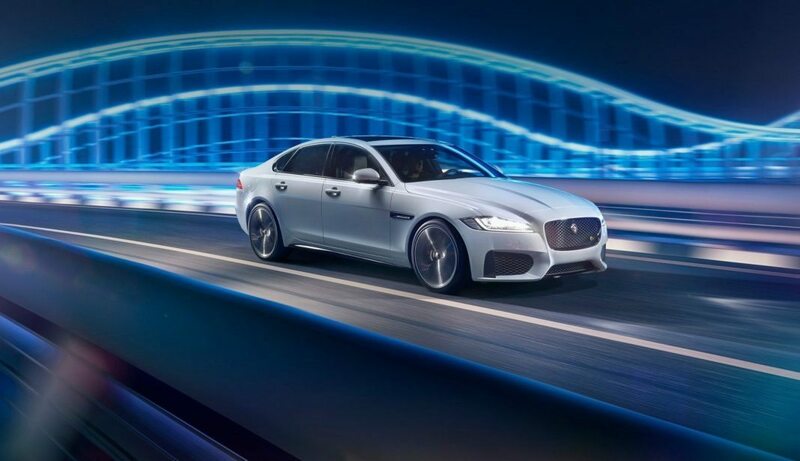 With its alluring presence, the 2016 XF fills out its surroundings, setting the tone of its enveloping ambience, and therefore rightly justifies its status as being the first car to be launched at the state of the art new Euro Motors Jaguar Land Rover showroom. “The year 2016 marks a new era of prominence in our status as leaders in the automotive industry in the Kingdom of Bahrain, one in which we aim to progress to heights previously unscaled in both our personal expansion plans, as exemplified with the launch of our new showroom, and our ongoing pursuits to justify and exceed Jaguar Land Rover’s unwavering faith in us; and our rollout of this campaign is the first step in that direction. With our new offer, we intend to hit three birds with one stone…to bring us closer to our customers, to justify our customers’ goodwill and confidence in us and to cater to prospective clients who are on a more cost-effective budget. It is with great pride that we invite those interested to test drive the All-New Jaguar XF to get a glimpse of its immense capabilities and experiential pleasures and subsequently avail of this limited offer and we look forward to seeing more of the effortlessly exquisite vehicles illuminate the roads of the Kingdom of Bahrain,” he added. Jaguar’s dynamic, coupé-like, aluminium-intensive and lightweight All-New XF, underpinned by class-leading driving dynamics and refinement, brings an unrivalled blend of design, luxury, technology and efficiency to lead the business car segment. The masterpiece offers unrivalled refinement and dynamics, as well as the lowest CO2 emissions of any non-hybrid model in its segment, making it the most practical and efficient vehicle that is currently available in the Kingdom of Bahrain. The new XF is the third Jaguar to be based on the brand’s advanced aluminium architecture and its new aluminium body means it is 80kg lighter than its nearest competitor and 190kgs lighter than its predecessor. Less weight means better efficiency and the new lightweight XF can now boast segment-leading figures of over 70mpg and 104g/Km CO2. It also offers more rear seat space than its competitors as well as new touch screen technology and unparalleled levels of luxury and class. Staying true to the principles of elegant lines and disciplined surfacing, the All-New Jaguar XF is the most visually dynamic car in the executive segment. The all-new Jaguar XF’s assertive design stands out from the crowd, making it distinctively Jaguar and coupled with the vehicle’s perfect combination of steering response, ride comfort, elegance and performance, this dynamic luxury business saloon delivers both excitement and efficiency, all enhanced by state-of-the-art technology to keep one safe, connected and entertained. The Jaguar XF has already amassed over one hundred international awards in the past and with the next generation XF being completely new from the ground up, its stylish and captivating new design ensures yet another addition to its impressive haul with its recent win at the annual Auto Express Awards as it picked up the prestigious Design Award. The All-New Jaguar XF range will be available exclusively at the new Euro Motors showroom in the Kingdom of Bahrain and to book a test drive, visit the showroom in Sitra or call on 17460460.